The explosion of fresh cafés and restaurants onto Newcastle’s foodie scene has sparked new creativity in the region’s chefs. No longer will the classic chicken parma and cheeseburger suffice, kitchens are taking risks, experimenting with global cultures and fusions. Novocastrians can’t complain about this encyclopaedic range of flavours and cuisines to try. We start our culinary expedition with the classic Italian. World class artisan pizza and handmade pasta that would make Nonna proud can be found right on our doorstep. Masa Madre provides exquisite slow fermented sourdough pizza, using toppings that prove simplicity is key. Napoli boast authentic Italian classics in their thriving King Street store, including pizza by the metre, a challenge worth taking. Novocastrians can also swing by new kids on the block Cielo Italiano and Di Roma to indulge their Italian cravings. Keeping to the Mediterranean region, any foodie would be a fool not to sample signature regional dishes at Rustica. The stunning atmosphere and view of Newcastle Beach can only be beaten by the moorish flavours on the menu. Bocados, The Greek Taverna , Sephardim and Chan Chan Peruvian also can’t be missed. Novocastrians are spoiled tantalising Spanish, Turkish, Greek and Italian banquets with a social dining experience to be remembered. If charcoal BBQ’s and punchy flavours are your style, the South American cuisine will leave your taste buds dancing the salsa. The delicious selection of Latino dishes and Argentinian meat at Barcito are a must try. Speaking of meat, traditional Brazilian churrasco can be devoured at Meet in Honeysuckle. Mexican fans can’t miss the newly reopened Antojitos for delicious burritos, tacos and flavour explosions. 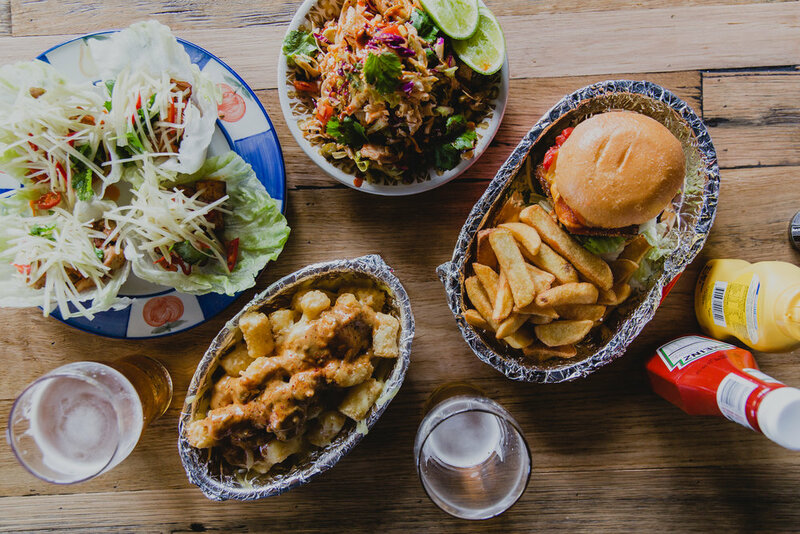 Other favourite Mexican feasts right here in Newcastle are Muchos, Two Mules at The Prince and Darby Street’s Beach Burrito Co.
A trip across the border isn’t necessary to experience rich American Barbeque flavours. Sticky ribs, smoky briskets and pulled pork can be found at The Lucky, The Beaumont, The Family Hotel and The Grain Store. From the west to the east, Newcastle has an abundant supply of Asian restaurants. Lovers of Japanese cuisine can’t go past Nagisa for Newcastle’s freshest sashimi or Susuru, whose ramen will make you ditch your table manners and slurp in public. 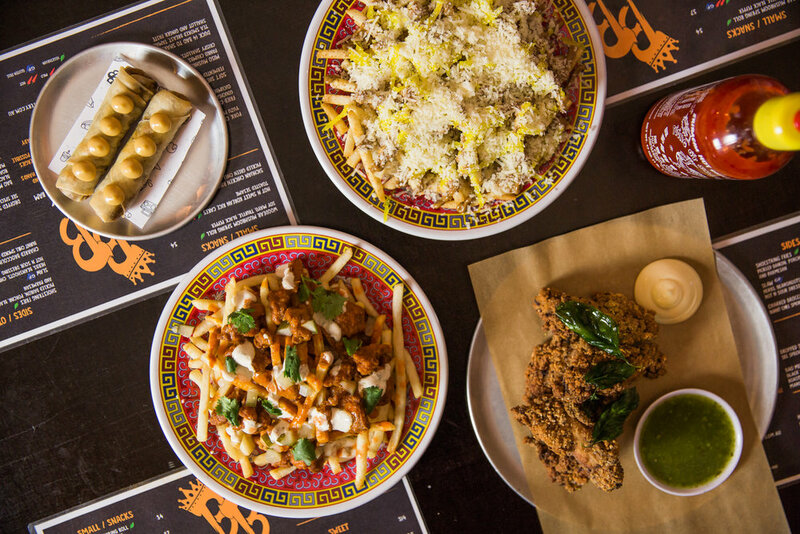 Bao Brothers have revolutionised the bun game with their urban store and umami of flavours. Kitami delivers delicious Japanese food in a romantic setting. The list of Thai, Vietnamese and Asian fusion restaurants in the region is endless but Sticky Rice and The Grain pull 5 star reviews. Head to Le Dynsaty enjoy and embrace intricately prepared Vietnamese dishes, or to Screamin’ Veemis for a kiss of Vietnam in the form of a tasty banh mi, with a little inspiration from the streets of Saigon. Adventurous foodies can step away from the classics and devour something new. Winnie’s at Finnegan’s Hotel boasts the title of Newcastle’s first Jamaican restaurant with its finger lickin’ jerk chicken, curried goat and abundant vegan options. Novocastrians can devour classic German favourites such as pork knuckle and Sauerkraut at Oma’s Kitchen and Doppleganger. You won’t need your passport to sample the flavours of the world. Newcastle’s dining scene provides a culinary adventure to satisfy any craving. 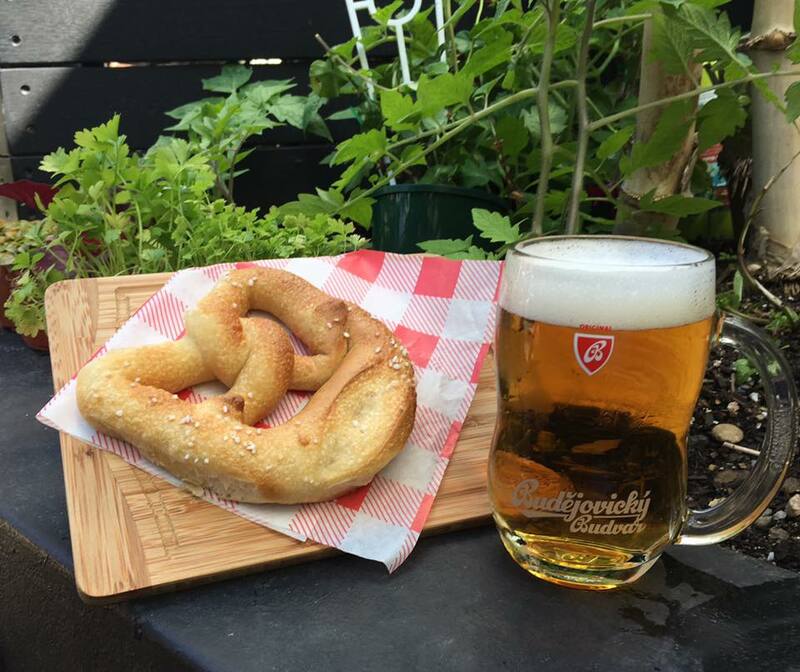 From Italian to Jamaican, German to Japanese the opportunities to delight your taste buds are infinite.